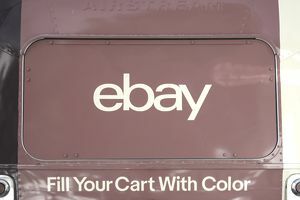 Sourcing inventory for eBay is becoming easier as technology improves. One way to look for local inventory (that can even be free) is the Craigslist Mobile App. Sellers can browse for inventory opportunities at any time – like waiting in the dentist office, at their child’s little league practice, when listening to TV in the evenings, or while riding public transportation. If a mobile phone has access to the internet, an eBay seller can browse for inventory to resell. Follow these steps when to browse inventory on Craigslist that could be sellable on eBay. The Craigslist App has many user-friendly features. Users can create and save searches and receive text alerts showing newly listed items with targeted keywords. If the Craigslist seller has posted photos, those are viewable on the app. Results are sortable by different criteria. If you find an item that interests you, it is each to communicate directly with the seller right from the app. Some people use Craigslist to sell items really cheap because they are moving soon or just need cash. eBay experience, skill, and knowledge is an asset here. The general population isn't familiar with eBay selling, don't care to learn about it, and are happy getting a sale on Craigslist and pocketing the cash. If you are an experienced eBay seller with patience and determination, you can find items to resell on eBay for much higher prices because your audience is millions of people worldwide. Is the item easy to ship? Do you have the correct materials to ship the item? Remember it could sell immediately and you'll need to ship it quickly. Will it need climate controlled storage, and if so, do you have room in your home to store it? Items like cosmetics, fragrances, art supplies, or delicate fabrics may require climate controlled storage. Be safe - only meet your Craigslist trading partner inside a public place, during daylight, and take another adult with you. Anywhere that has security cameras like the lobby of a grocery store or Walmart is a good idea. Even better, meet at a police or fire station as there are always people there and crooks will stay away from those locations.